Please browse this section to see our finest work. 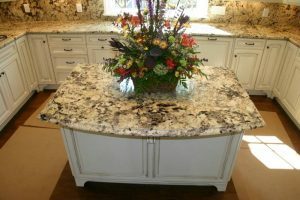 Our gallery covers kitchens, bathrooms, fireplaces, as well as other exciting uses for stone. 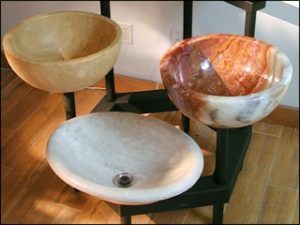 We include descriptions of each project to help identify special features such as compound curves, milled recesses and functional detailing such as drain boards or decorative detailing such as ornaments. Be on the lookout for these effects in each image. Naturally we work closely with architects, designers and expert cabinetmakers and acknowledge that their beautiful work shows off our beautiful work. We thank them for allowing us to include their work on these pages. 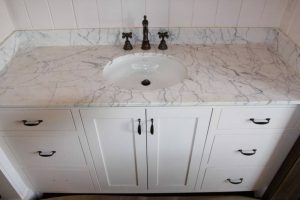 In the bathroom we install vanity tops, sinks and showers. Each face of a shower wall is constructed from a seamless, single-panel slab; the floor pan is carved from a large single stone as well. 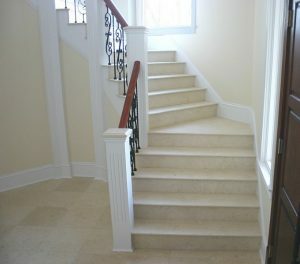 This seamless approach makes cleaning the surface simple and efficient.